The City of Orlando has partnered with Speed Plus Inc. and Boris Jackson, a 20 year veteran in sports performance, to provide cutting edge sports training to fit the specialized needs of his clients. This training includes, but not limited to, AAU summer track, football mini camps, as well as, strength & conditioning. 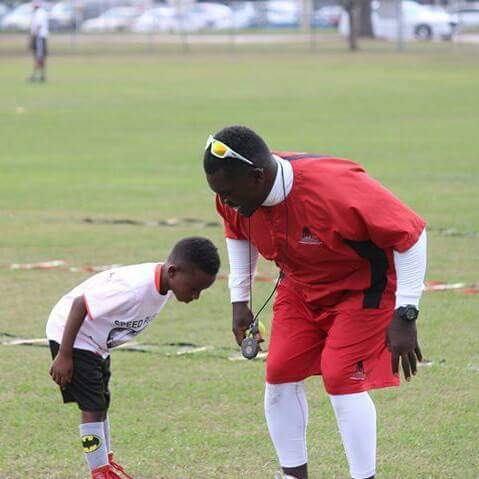 Mr. Jackson, or Coach Bo-Jack as he is affectionately called by his colleagues within the Orange County Public School system, enjoys working with an array of clients from children developing basic skills in the Pop Warner leagues to advanced training of professional athletes. Some of his clients include the NFL star running back, Chris Johnson and Mike Sims-Walker, former wide receiver with the Jacksonville Jaguars. The City of Orlando has an extensive history in getting things done in the urban community of Orlando. This new and exciting partnership between Speed Plus and the City has the ability to reach untapped potential within our children. The social and athletic skills that will be developed through our programming will have a lasting impact on their overall development.